The film ‘Home, Sweet Home’ isn’t a traditional documentary. From director Ise Shinichi, the film started as a collection of home videos meant to be gifted to his niece Nao Nishimura’s family, since she wasn’t expected to live past childhood. After 35 years of filming her since the age of 8, this compilation of footage has turned into a heartwarming chronology of Nishimura’s life. Nishimura was born disabled and since birth has suffered from epilepsy. 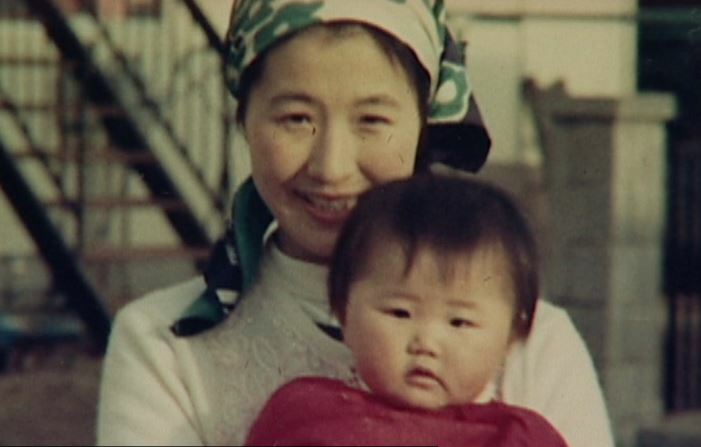 The focus of the movie is initially on Nishimura and her lifestyle, but partway through, shifts to her family as a whole. While either of these focuses alone are fine to keep as a central theme to the film, shifting from one to the other felt unnatural. For at least half an hour, the story was always just Nishimura and her relationships with other people, and then suddenly it was about the relationship between her parents and how Nishimura’s younger brother Norikazu was doing as an independent adult. This is a small complaint, though. To be fair, it wasn’t until much later after Shinichi started filming that he decided the footage should be published as a documentary, and I’m glad he made that decision at all. The innocent story of Nishimura is one all people ought to know. One thing Shinichi deserves a lot of praise for is including the negative parts of family life as well as the positive. When anything of this nature is recorded, it becomes difficult for the filmmaker to include anything beyond what’s exclusively upbeat. Thanks to Shinichi’s balance between these two aspects, the family feels a lot more authentic than it would otherwise. This movie serves as a good introduction for people who plan to care for disabled individuals, as it accurately displays the effort that goes into this care, the impact it makes, and how important it is to said individuals’ families and friends. If everyone knew the story of Nishimura, I truly believe this world would be a more open-minded and compassionate place. It’s one of the most authentic documentaries I’ve seen and is definitely worth the watch. What did you think of ‘Home, Sweet Home?’ Let us know in the comments below!